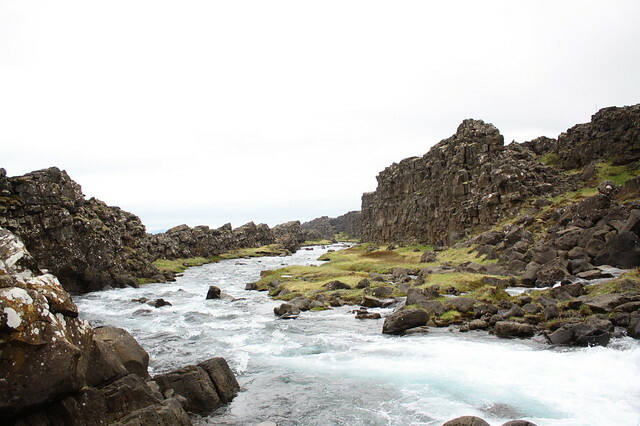 Þingvellir National Park, Iceland, this June. Just because. Unexpectedly, owing to my grandmother’s rapidly deteriorating state and a general lack of a contingency plan, my grandparents have moved in with my parents. Mom called me yesterday to fill me in on everything. I feel weighed down and lost and helpless about it. Mom and Dad are so boundlessly generous and took them in with no hesitation or questions asked. Mom and Dad sleep upstairs in the guest room on the double bed now. We talked and teared up for a while, and I put down the phone and felt hollow and useless. Predictably and gratefully, Kelsey called me some minutes later (presumably after Mom had filled her in), and then we talked about our joint feeling of uselessness and schemed about how we could be helpful at Thanksgiving. Kelsey is a source of compassionate comfort and strength in hard times. I am the eldest child, but even when I was young, I relied on Kelsey perhaps more than she ever relied on me. I still feel this way and look up to her in this essential, dependent manner. I am so thankful that she and Alex are so close by (it is worth noting what a marvel it is that she married someone as compassionate and kind as herself). When I think of them, I am filled with the conviction that I could turn to them in any form of need. Inspired by an interview I read with an author, I am keeping a five-year diary (designed by Tamara Shopshin). It is very interesting to me to note the limited phrases and sentences that come to mind, at the end of the day, that I consider necessary to record. Sorry to hear about your grandmother’s deterioration, love. I hadn’t realised that was the case. But thank goodness for the source of strength and deep comfort that are your parents and Kelsey. Sending hugs to all of the gorgeous Farson clan. Thanks so much, dear. Love! I enjoy your posts so much. Of course, I am distressed to read that Saint Lucy is failing. I know that your parents are the best caregivers imaginable, and I know, too, that this is a stressful situation for them and for the entire family. If you think she would be okay with it, will you please send me your mom’s email address?